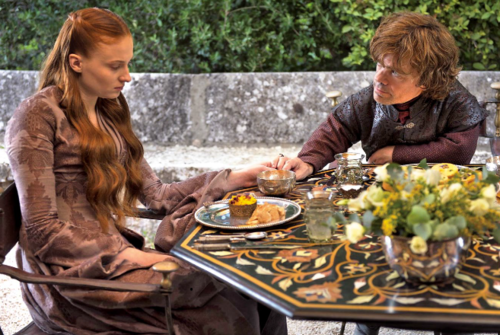 Tyrion Lannister and Sansa. . Wallpaper and background images in the House Lannister club tagged: photo game of thrones got tv show character joffrey cersei jaime tyrion lannister house lannister. 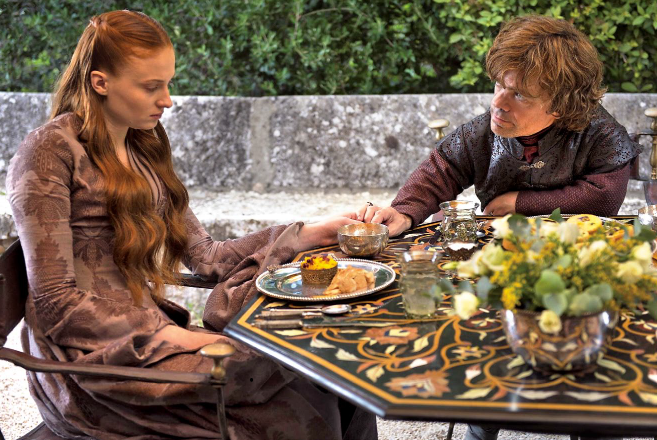 This House Lannister photo contains 节日晚餐, 假日晚餐, and 节日聚餐. There might also be 开胃菜, 开胃小菜, 火鸡大餐, 火鸡晚餐, and 晚餐.